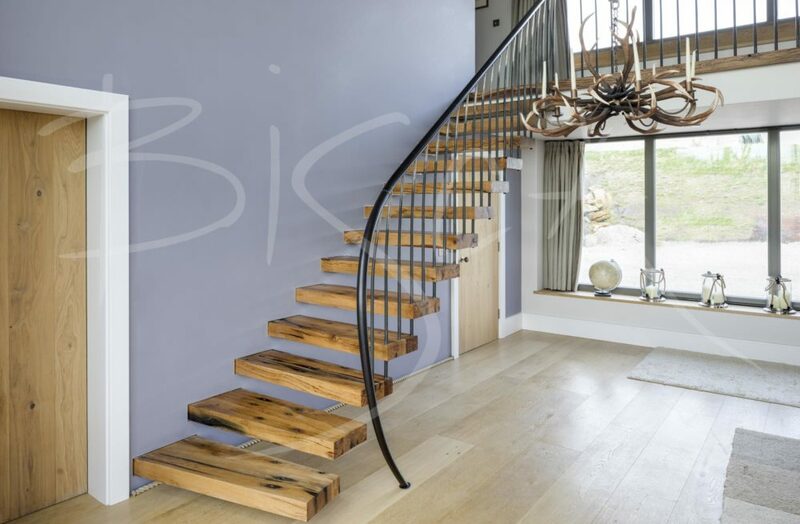 A cantilevered staircase of chunky flamed oak treads and blacksmith crafted balustrade. 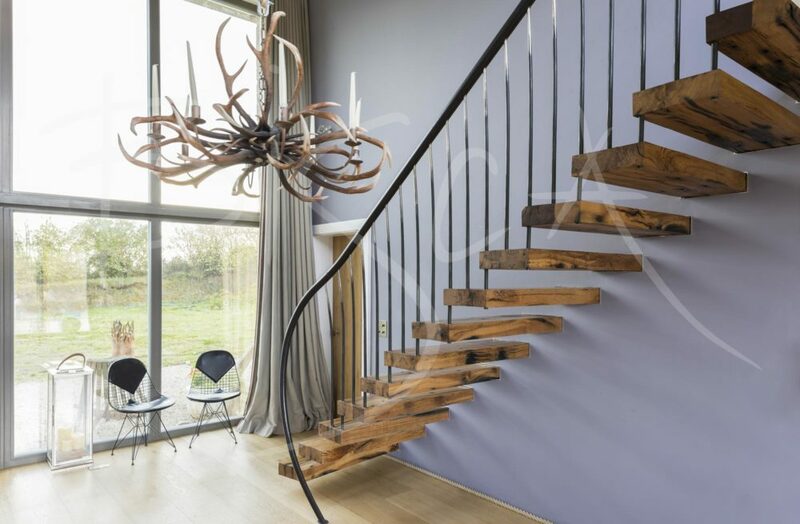 The staircase takes pride of place in a double height, open plan space in a Yorkshire property. The interior is an eclectic mixture of comfortable family furniture, antiques and artwork. Treads of locally coppiced oak provide a flamed effect, both highlighting the grain and creating visual interest. 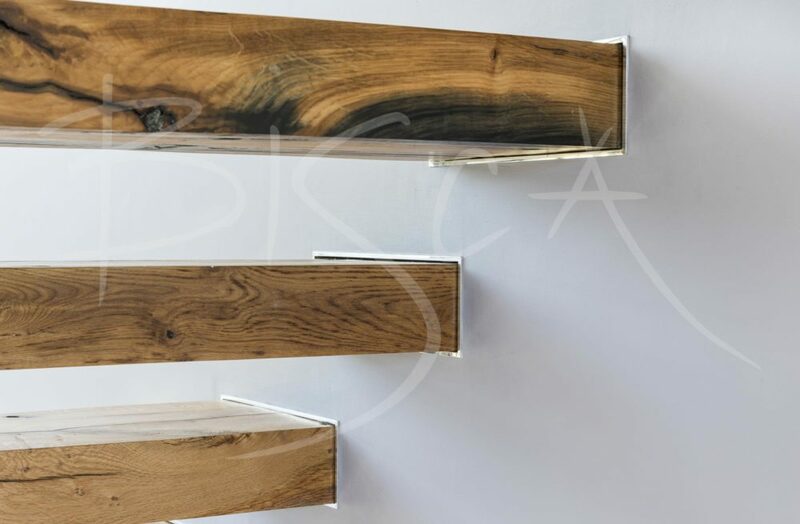 Bisca’s blacksmiths crafted the uprights from forged stainless steel. To create more usable width to the staircase, uprights have gentle curve at the top where they meet the handrail. Each upright is textured, blackened and polished by hand. Our famous attention to detail is evident in the upright tips appearing as mirrored studs on the underside of each tread. 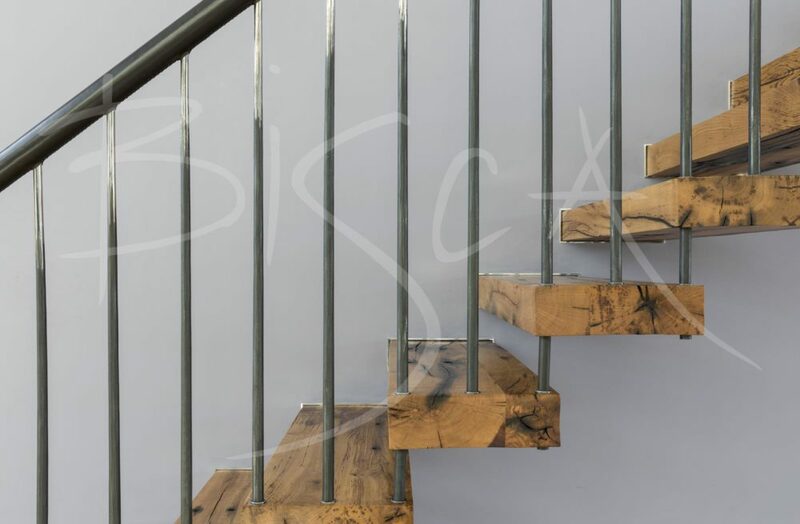 The handrail is hand stitched dark Havana leather, terminating in Bisca’s signature newel at the foot of the stair. For more information on this staircase please mention reference 7129.